Outstanding 4th-8th graders from across Texas meet in Dallas/Fort Worth, Austin/San Antonio, or Houston/Galveston for a week of fun, learning, leadership development, and visits to unique and historically significant Texas destinations with Texas teachers. Served 1,145 students in 2018; 14,388 students since 2002. 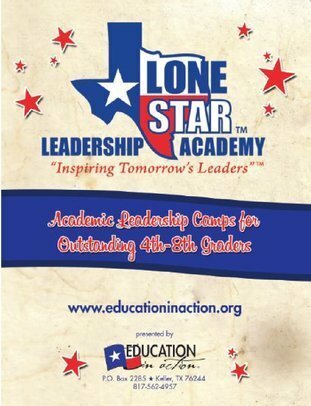 130 students representing Grapevine-Colleyville ISD and 10 students representing Joshua ISD have participated in Lone Star Leadership Academy camps. Camp alumni exercise leadership by creating and leading service projects in their communities. Alumni Council members have the opportunity to return to camp in leadership role as Youth Facilitators. 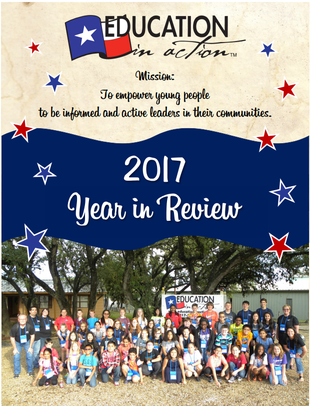 Served: 81 students in 2017; 1,098 students since 2004. Fourth and fifth grade teachers take their classrooms on the road to visit significant Texas sites on one-day, TEKS-based field trips. The experiences are educational, structured, and fun and supplement what students are learning in class. Served: 15,510 participants in 2017; >118,000 participants since 2003. 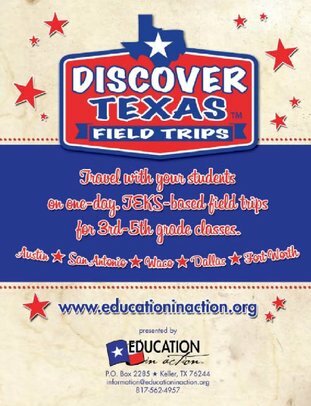 >170 schools are taking part in these field trips this school year, including Timberline Elementary in Grapevine-Colleyville ISD. Glenhope Elementary, Silver Lake Elementary, and Colleyville Elementary have also participated in past years. 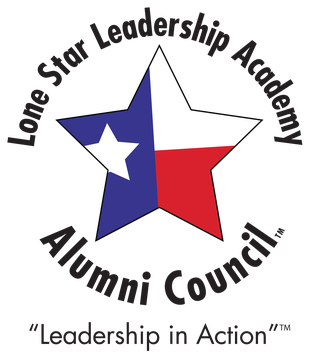 AG Elder Elementary, Caddo Grove Elementary, and North Joshua Elementary schools in Joshua ISD are also participating this school year. Staples Elementary and Plum Creek Elementary, also in Joshua ISD, have also participated in past years.